We hold expertise in processing and exporting a quality range of Ammonium, which is available in powdered form. Available in crystalline form, our range of ammonium powder is extensively used in various chemical and industrial applications. Strategic quality tests are conducted by us to ensure that our chemicals meet the highest standards of quality and accurate chemical compositions are formulated. West Bengal Chemical Industries Limited (WBCIL) was established in the year 1961 with technical collaboration of chemical giant of Germany. Since inception our products has gone on to become one of the most well accepted basic chemicals in the industry (domestic / international). We regularly export our products to USA, UK, Germany, Middle East, Australia, South American & Far East Countries. As a specialist in the production of Iron and Calcium salts we at WBCIL have diversified our activities with continuous development and introduction of newer molecules in the field of Pharmaceuticals, Nutraceuticals, Mineral Fortifiers, Feed Additives, Fine Chemicals and Speciality Chemicals. 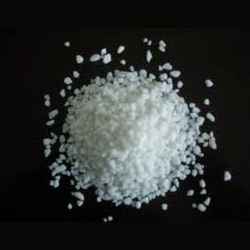 We also provide various other trace mineral salts ranging from Chemically Pure products to standards meeting different International Pharmacopoeia / Specifications. Our spray dry technology ensures the end products to be precise in quality standard regarding particle size, residual moisture content, bulk density and other needful parameters. Our Directly Compressionable Grade of Excipients and API?s allow for dust free processing and are directly compressible thus optimizing tabletting efficiency. WBCIL is having an ultra modern laboratory, Research and Development department and Quality Control department under its umbrella. Highly qualified technocrats head these departments. No. 145/1, Jassore Road, Lake Town.